Panel at SOCAP18: Women’s Entrepreneurship in Africa: The Key to Sustainable Development. Panelists from left to right: James Madhier of the Rainmaker Enterprise, Pauline Mbayah of The AECF, Liz Grossman of Baobab Consulting (moderator), Salem Afangideh of Thrive African Girl, and Margaret Nyamumbo of Kahawa 1893. “If you want to go fast go alone, if you want to go far go together.” - African Proverb. The pursuit of peace, prosperity, and sustainability is one we ultimately have to make together. Deep connection fosters collaboration: On October 27th, James gave the keynote address at the 2018 Manyatta Cares Gala hosted by the Manyatta Network, a dynamic and professional network for the African diaspora in Toronto. The Network champions positive change by showcasing individuals, social entrepreneurs and organizations which are making a positive impact in our community. We were inspired to find that Manyatta is so much more than a networking community - it is a platform for connection, sharing, love and support as the basis for effective leadership, collaboration and innovation. Invest in community health, work across boundaries: On October 16th, James gave the keynote address at the Inner City Family Health Team (ICFHT) AGM. The ICFHT works with homeless and marginalized people in Toronto to improve health and quality of life, and contribute to the elimination of chronic homelessness. James shared his experiences with team members and clients, many of whom are newcomers to Canada, and spoke on the need for human dignity for those living with poverty and homelessness. We were inspired by the people providing care and support for vulnerable communities to reach their full potential. 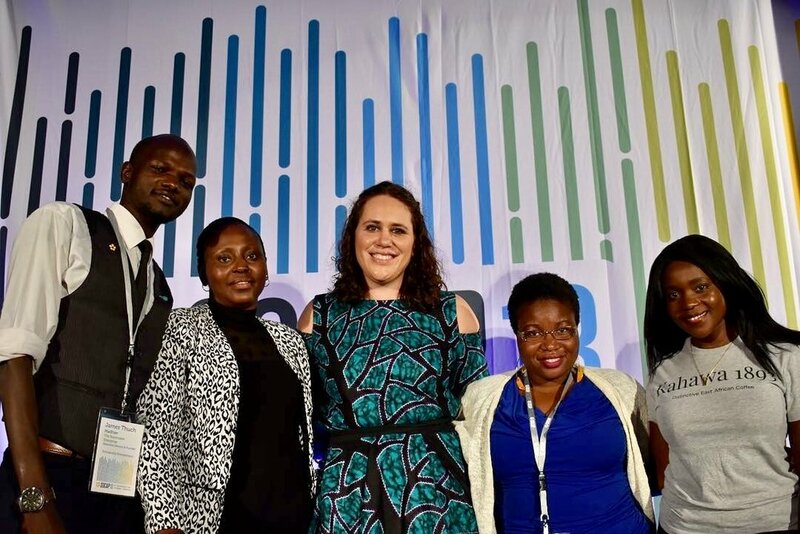 Support women leaders and entrepreneurs: At SOCAP18 in San Francisco, James spoke on the panel Women’s Entrepreneurship in Africa: The Key to Sustainable Development, on supporting women leaders to reduce poverty in sub-Saharan Africa. The panel was moderated by Liz Grossman, Managing Director of Baobab Consulting, whose mission is to ‘build a world where people of all backgrounds can understand and work with each other to build and innovate for the greater good of society’. Our engineer-in-training, Anna, was also recently in Bangladesh speaking on solar-powered irrigation for poverty reduction and women’s empowerment at the IEEE Women in Engineering Leadership Summit. We are inspired by these women leaders who are championing gender equality for sustainable development. We believe a peaceful, sustainable, and prosperous world is possible through deep connection, partnership and support. We are proud and will continue to collaborate with many individuals and organizations towards the achievement of this world. When you learn about and connect with the diverse people who make up this movement, we hope you will believe it too.